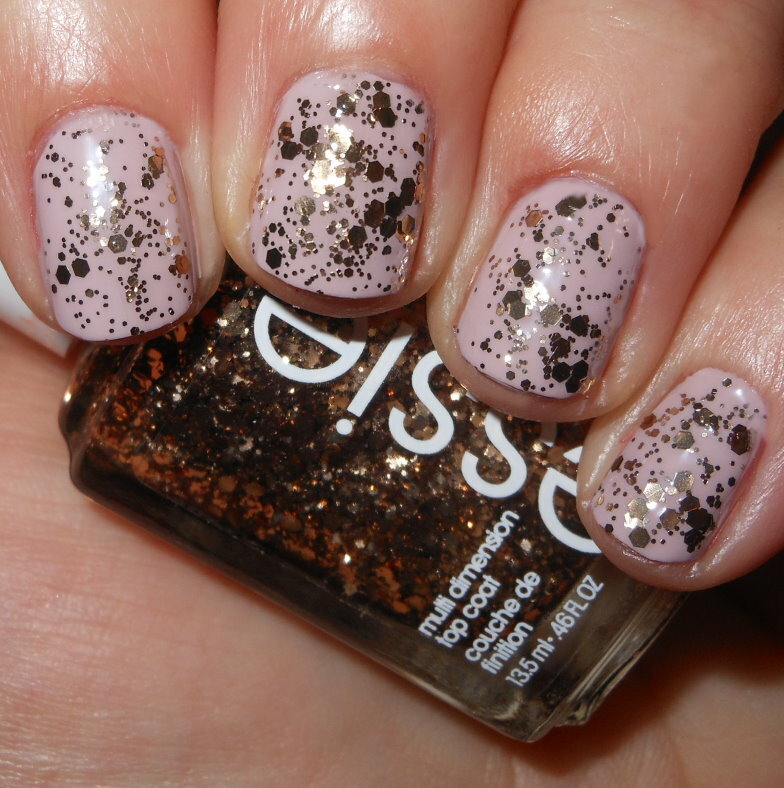 I have one of the new Essie Luxeffects released for the holiday season to share with you today. I haven't been all too enthused with drugstore offerings lately. In fact, I'm downright depressed. I do not see really any notable holiday nail polish collections at all. I did spot some holiday Essie polishes though. I must say Essie's holiday offerings don't really read holiday to me, but this glitter stood out. 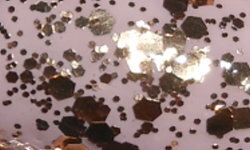 Summit of Style is a mix of bronze glitters in a clear base. Color: What made this stand out to me was the color. I have plenty of gold and silver glitter toppers. I even have copper glitter toppers, but bronze? Nope! This is new to me glitter topper color. I like it! Formula: Excellent formula. I used 2 coats above. The glitter apply easily and evenly. Price: I paid $8.50 for this at Walgreens. Overall: Beautiful bronze glitter topper. No, this isn't the most spectacular creation in nail polish as far as innovation, but it's good. The color is different from other glitter toppers out there, and the formula is really nice. I like Summit of Style a lot. Oooh, I really like this. Great mix of sizes as well! I haven't seen any holiday drugstore collections at all, save for Sinful Colors. What a nice bronze glitter this is. Its very pretty layered over that color. Very pretty! That glitter would go with a lot of things! The glitter shade is indeed beautiful!